Parents need to do a better job of buckling in their children. It’s been three decades since the use of child safety seats became law in the United States. And while most parents understand the importance of these safety devices, recent inspections conducted in New York State indicate that guidance is still needed on how to properly use them. In a series of recent state-run safety checks, only 112 of 931 car seats inspected, or about 12 percent, were installed correctly. The most common mistakes included using the wrong seat for the child’s size and age, not positioning the seat correctly, and not securing or tightening the seat’s harness and crotch straps. These mistakes can literally be fatal, as the National Highway Traffic Safety Administration (NHTSA) reports that properly installed child safety seats reduce the risk of death by 71 percent for infants younger than 1 year old and by 54 percent for toddlers ages 1 to 4 years. The NHTSA also reports that while 96 percent of parents believe that they have correctly installed their car seat, research shows that only three out of every 10 children are properly restrained. Check the label on your car seat to make sure it is age- and size-appropriate for your child. Always place a car seat in the back seat of a vehicle. Children should remain in the back seat until age 13. Keep children in rear-facing car seats as long as possible – at least until age one - before moving them to a forward-facing seat. Once you have installed the car seat, give it a shake from its base. A properly-installed car seat shouldn’t move more than one inch in any direction. After placing the harness around your child, make sure that it is tight and that the straps are coming through the proper slots. The harness is tight enough and the chest clip properly placed if you cannot pinch any extra webbing at your child’s shoulder. For added assurance, parents can discuss and examine their installation with a certified technician at a car seat inspection station. Most communities host such stations periodically at places such as car dealerships or store parking lots. To find a station near you, you can check the website SeatCheck.org or call your local police or fire department’s non-emergency number, local hospital or highway safety office. Once a child graduates from a car seat, the proper use of safety devices remains important, as motor vehicle injuries are a leading cause of death for children in the United States and Canada. Using a booster seat until a seat belt properly fits a child reduces the risk of serious injury by as much as 45 percent, according to the Centers for Disease Control and Prevention. Booster seats work by raising your child so that the shoulder belt fits properly across the hips and chest. A properly fitting belt rests on the upper thighs and chest, not the belly and neck. It is recommended that children use a booster seat from age 4 to 8, or until they reach a height of 57 inches. For older children and adults, the use of a seat belt cuts the risk of serious injury in half. In the case of motor vehicle accidents, an ounce of prevention is worth far more than a pound of cure. 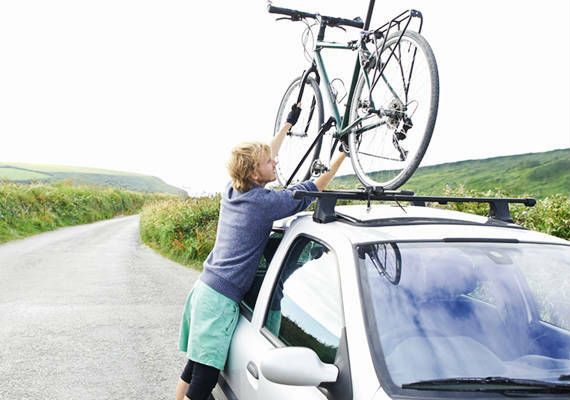 You face a lot of risks on the road, but insurance shouldn’t be one of them.